Good word from the UK in that sludge rockers Kurokuma will release a new EP, titled Dope Rider, on vinyl in August through Doom Stew Records. The three-piece have a string of Eastern European tour dates booked in order to celebrate the impending two-songer, which is based around a comic series of the same name. 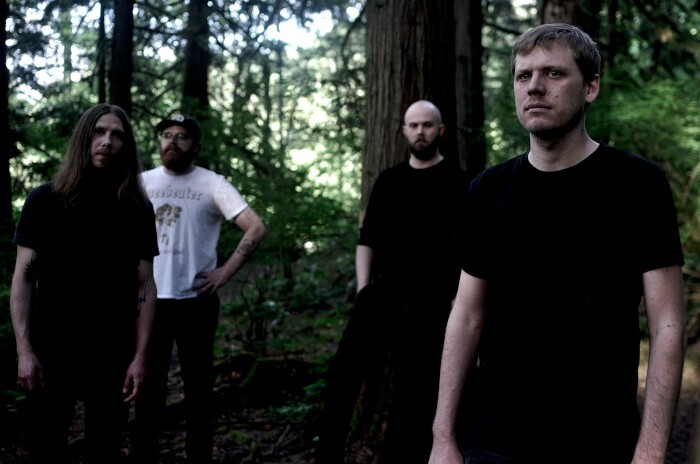 They showed influences psychedelic and tribal on their prior outing, 2016’s Advorsus, which is streaming at the bottom of this post, and since that release, they’ve toured with the likes of Conan, DVNE, among others. I wouldn’t necessarily predict how the new release will sound — and I can’t pretend not to have heard it while talking about it, because, hey, I actually haven’t heard it — but I wouldn’t be surprised if their road experience translates into an even broader scope. 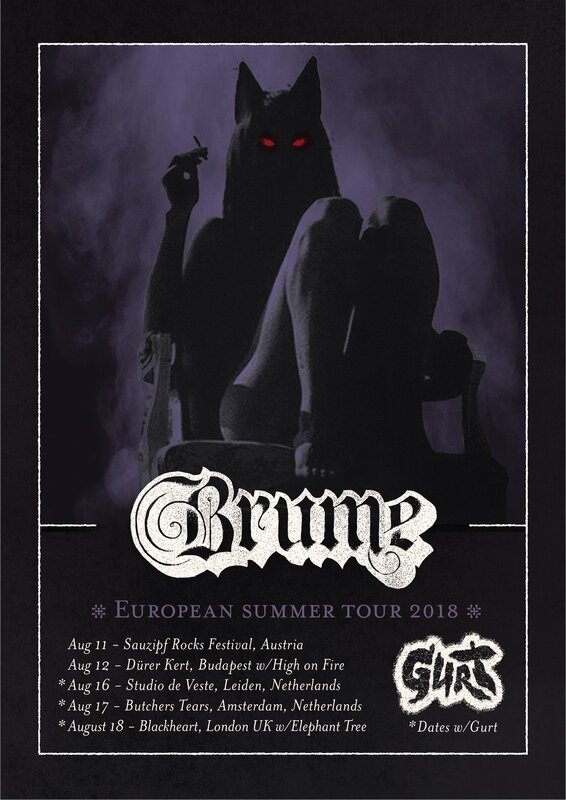 We’ll find out when we get there, of course, but in the meantime, shows in Romania, Slovakia, Hungary, Poland, Germany, Lithuania and Latvia should bring them to the attention of that region’s passionate underground and help their cause generally. The extremity they brought to Advorsus was visceral in its three-track rollout, and as they center around a narrative structure, there’s an opportunity to bring new progressive sensibility to the proceedings. 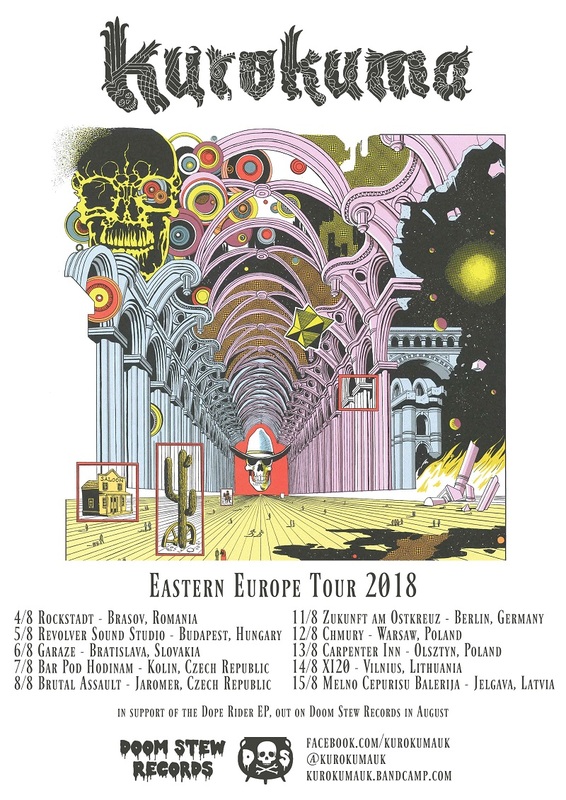 UK psychedelic sludge band, Kurokuma slash their way through Eastern Europe this August, hitting up Rockstadt Festival in Romania and Brutal Assault in Czech Republic along the way. Playing alongside the likes of Obituary and Converge, this is their first time in mainland Europe. There will also be a performance at Berlin’s independent cinema, ZUKUNFT am Ostkreuz, in conjunction with a screening of The Doom Doc. 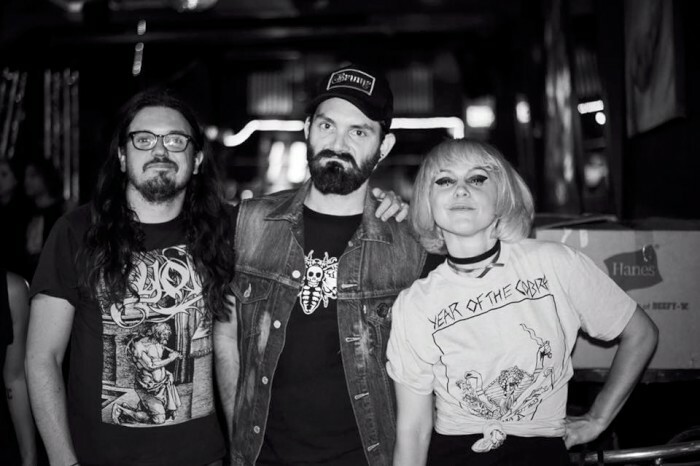 The tour is in support of their Dope Rider EP which comes out on vinyl, CD and cassette through San Fran’s Doom Stew Records in the same month. The EP contains two lengthy tracks in tribute to Dope Rider, a graphic fiction story originally printed in High Times starting in the 1970s. The release features artwork by the strip’s creator, Paul Kirchner; the vinyl version especially features a whole Dope Rider story on the insert. 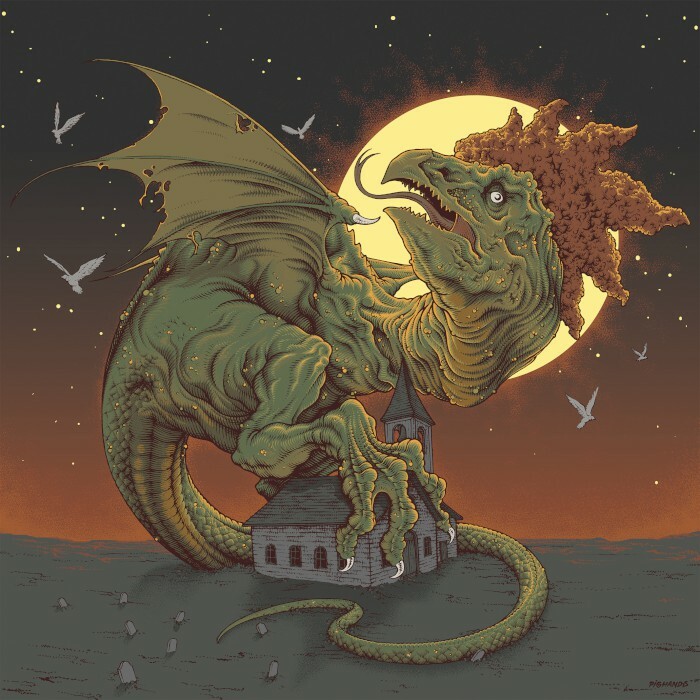 The EP was recorded at The Cro’s Nest by Slabdragger’s Sam Thredder and mastered at Skyhammer Studio by Chris Fielding. It doesn’t take long into their second album, A Universal Emptiness, for Oakland post-doom six-piece Catapult the Dead to set an atmosphere as heavy emotionally as it is in its tonal substance. Doom Stew Records will have the four-track/38-minute full-length out Nov. 15 as the follow-up to the band’s 2014 debut, All is Sorrow, and while bits and pieces like some of the emergent riffing in opener “Till it Goes Away” and some of the Steve Von Till-style vocals that accompany might be traced back to Neurosis, cuts like the organ-laced “Last Breath” and the piano-topped album apex “Burning Womb” put that churn to individualized purposes. 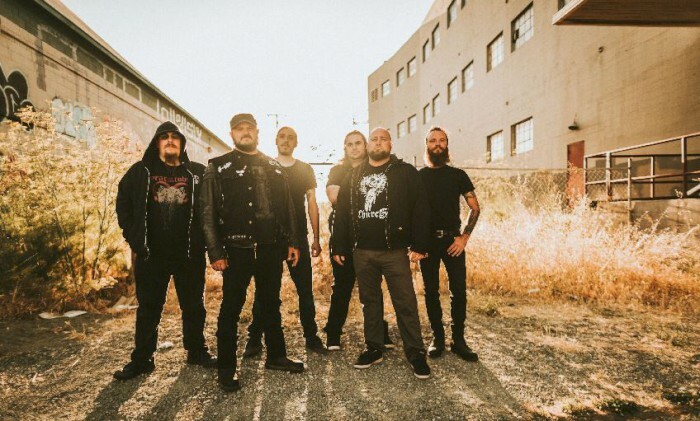 Hailing from Oakland, Ca, the 6 piece crushing tribe of doom Catapult the Dead, are teaming up with San Francisco’s Doom Stew Records for their latest full length release “A Universal Emptiness”, due on November 15th, 2017. 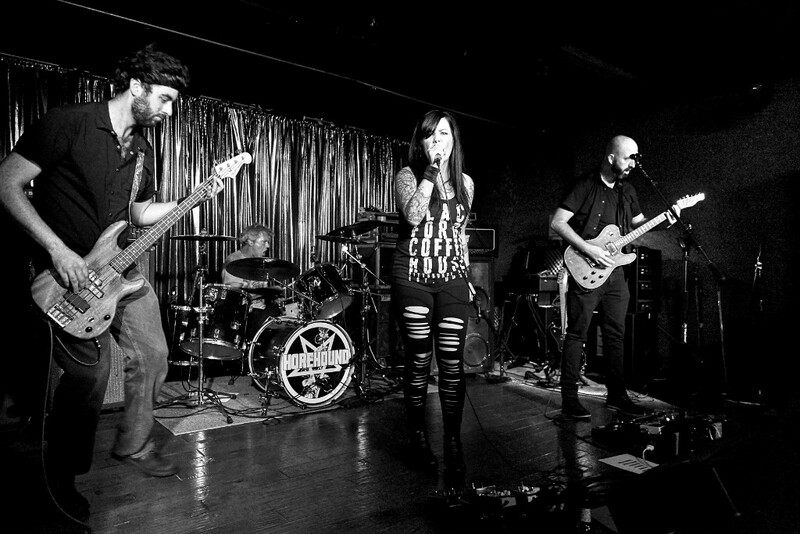 Catapult the Dead bring to the genre their own version of musical sorrow, despondency, and longing. This unique and haunting outfit is as beautifully devastating as it is callous and brooding. A Universal Emptiness is a 38:39 minute apocalyptic journey. Sweeping synth and organ soundscapes lead you eerily, through a dark thunderous wall of sound. 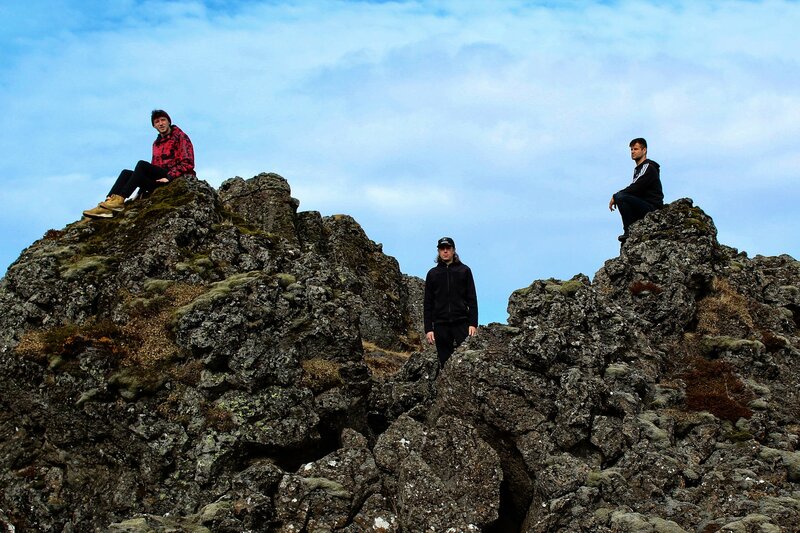 With thick brutal guitars at the core, it’s rhythmic foundation is dragged angrily along by layered bass and powerful booming drums. All the while baleful roars and ghostly wales round out this bleak, crushingly dynamic, full length offering. A Universal Emptiness will be available on November 15th. CD and LP’s are available through Doom Stew Records. 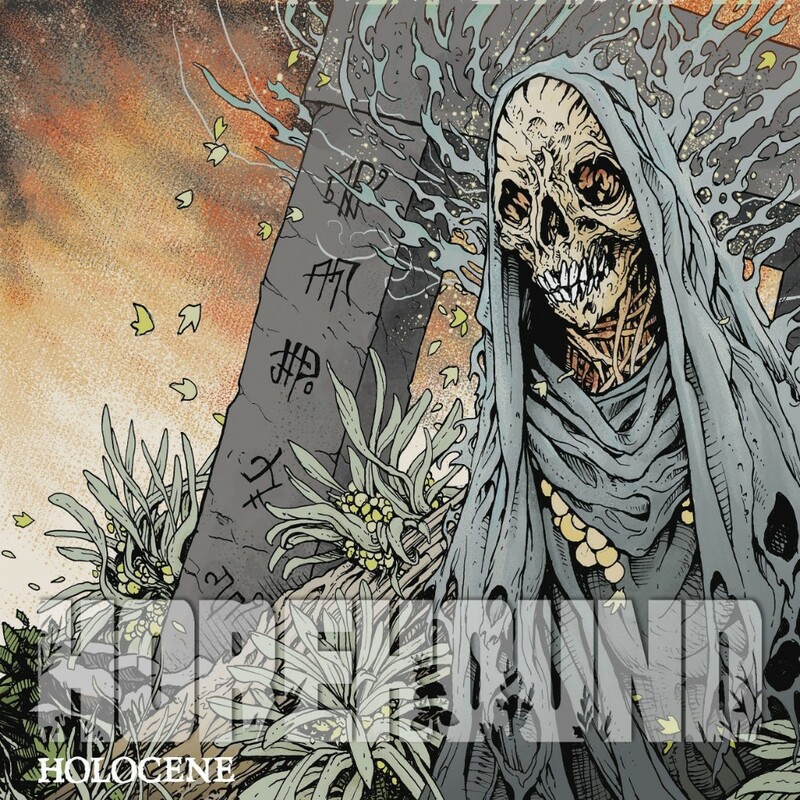 Digital download and cassette tapes are available directly through Catapult the Dead. The 12″ vinyl comes in 3 special color variants to compliment thebeautiful illustrations created by Macedonian artist Pig Hands. Also featuring insert and label Illustrations by Death Ink. All told, it’s a quick 22 minutes-plus that feels formative in its construction but carries forth a raw ambience to go with its nastiest stretches. 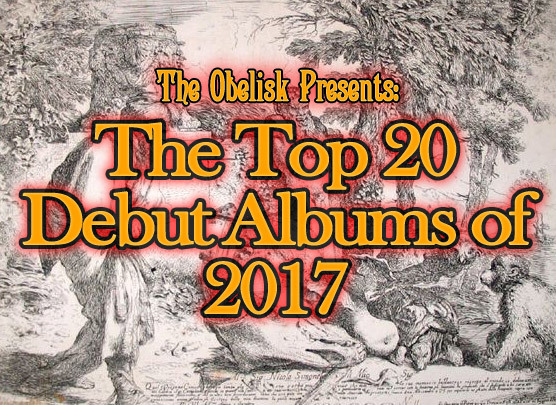 It just so happens that the bonus track, “Entheogen,” is streaming at the bottom of this post, if you’d like to get introduced. 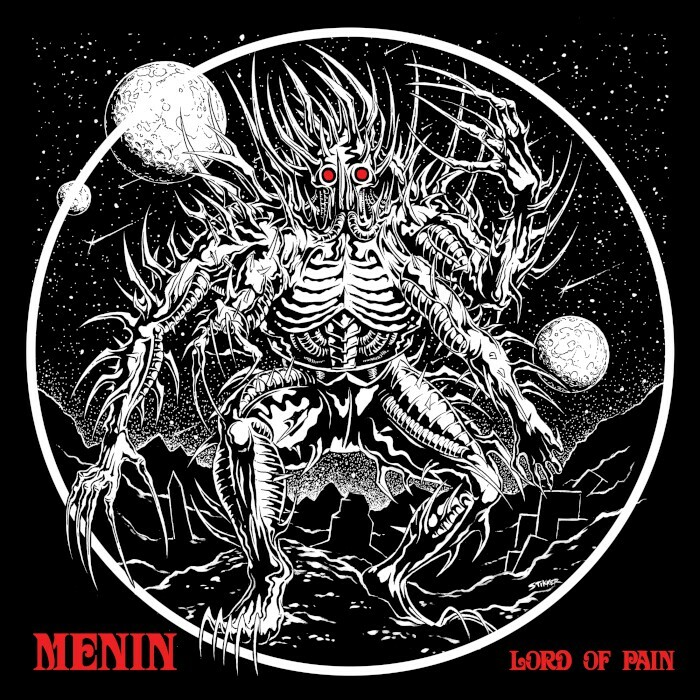 Portland, Oregon’s favorite science fiction stoner doom outfit Menin is proud to announce its allegiance with San Francisco’s Doom Stew Records to release the EP Lord of Pain on CD and 12″ vinyl September 15th. Menin’s power has rarely been glimpsed outside of the Pacific Northwest until now. 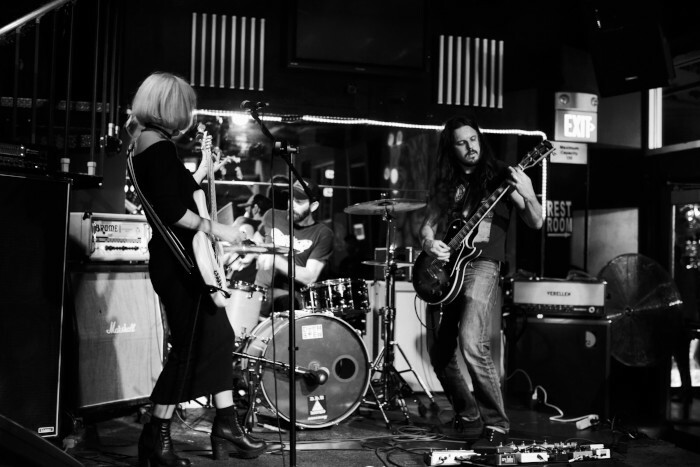 Two drummers, downtuned guitar, and towering bass bring about an involuntary slow-headbang with interlocking polyrhythmic riffs. The unhinged vocals of guitarist Chris Gray serve to further disorient and disturb the listener. Lord of Pain launches Menin’s unrelenting heaviness into the farthest corners of the universe for all but the deafest of heshers to behold. 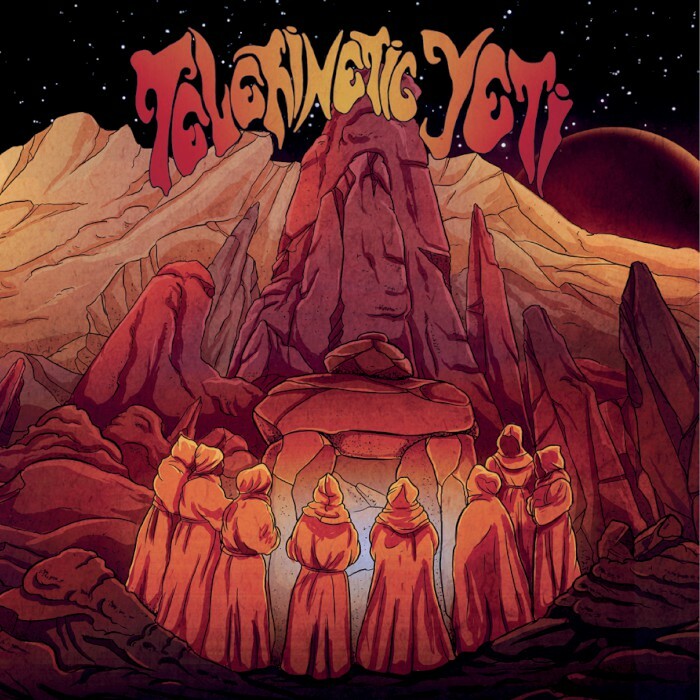 Each track explores the power and wrath of creator/destroyer gods from works of science fiction and fantasy. Lord of Pain’s title track is named for the Shrike from Dan Simmons’s Hyperion Cantos: a 10-foot-tall, four-armed, time-traveling monster made of knives. Fellow science fiction fan and riff warrior Matt Stikker provides a horrifying illustration for the cover art, as he has done for the likes of Lord Dying, Drouth, and WVRM, among others. Lord of Pain will be available on CD, digital download, and vinyl September 15th through Doom Stew Records. 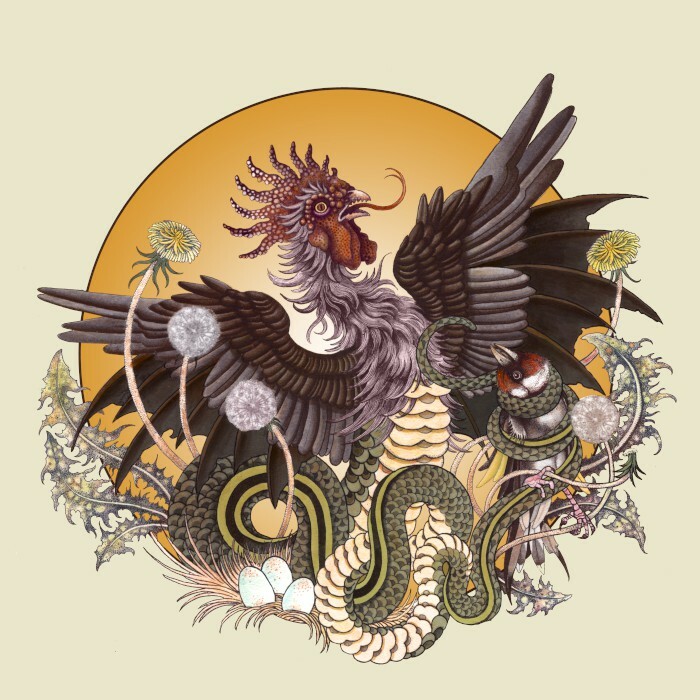 The 12″ vinyl also contains the previously-unavailable single Entheogen, an anthem to the sweet leaf.